In terms of fit and need as it relates to the 2017-18 college football coaching carousel, there are big changes which mean immediate impact on your college football fantasy team. Here are my top 5 coaches that will make an immediate impact on your fantasy football team. The ’Noles have a legitimate quarterback competition brewing before the 2018 season. Two of the QBs in the race have valuable in-game experience, and all three have the talent to win the starting job. FSU is in a good spot at this position for the upcoming season. Just how good? Sam Cooper, Dr. Saturday from Yahoo Sports, ranks Florida State’s quarterback situation as third best in the ACC. Deondre Francois started 13 games as a redshirt freshman in 2016. James Blackman started 12 games as a true freshman in 2017 after Francois injured his knee in the opener against Alabama. In an era in which backup quarterbacks are more likely to transfer than wait their turn, what Florida State has is an enviable luxury. But what Willie Taggart has an unenviable task: choosing one player to be his starter. That is a decision that will be made in fall practice, when Francois is at full strength and the coaching staff gets a look at the way both players not only handle the new offense but handle their teammates, too. How Taggart manages all this requires a delicate touch, but also a no-nonsense approach. Nobody should assume Francois automatically gets his job back once he is healthy. There are no guarantees. Francois, statistically, was more efficient in 2016 than any quarterback FSU will go against this season while Blackman was in the middle of the pack after a strong end to his rookie campaign.If Florida State would like to keep Francois then they need to protect him because since 2016 he has taken quite the beating. Willie Taggart expects a lot out of his players and if you watched the Florida State spring game there offense could be fun and gun. We shall see, but if Francois is the starter expect him to put up numbers and be a good fantasy steal at Quarterback if he beats out Blackman. James Blackman struggled at times last season but also had glimpses of hope. His size and intangibles have potential, but again how does the offensive line hold up for him because they were horrible last season. 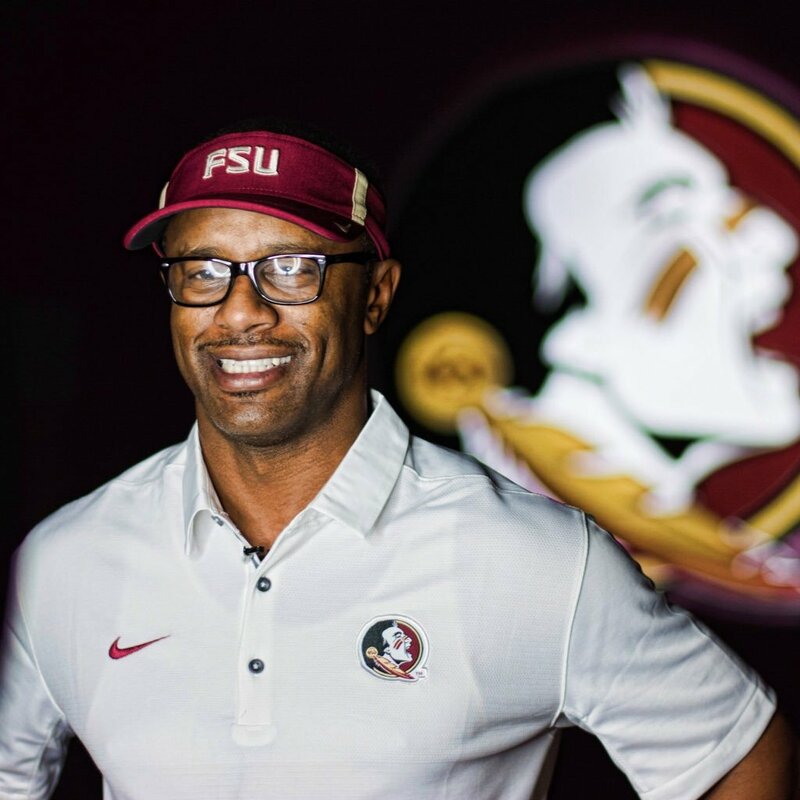 If he wins the Quarterback job he has experience and if he can get protection along with new coach Willie Taggart Blackman is a name you want to keep an eye on. Thanks to a 10-year, $75 million deal, the Aggies lured Fisher away from Florida State. That’s just one cog in the football program’s commitment, which includes a renovated stadium and plenty of money for Fisher to build his staff and off-field analysts. Fisher had the tough assignment of following Bobby Bowden at Florida State but rebuilt the program into a national power once again. The Seminoles went 83-23 under his direction, won the 2013 BCS title and won at least 10 games in six out of his eight seasons in Tallahassee. Fisher is no stranger to life in the SEC, as he coached at LSU from 2000-06 as offensive coordinator before joining Bowden’s staff at Florida State in ’07 in the same capacity. Jimbo will make an immediate impact as he is one of the best there is at developing Quarterbacks and play calling. So here is the situation in Aggie land and why you should keep your eyes open for your fantasy team. As of yet there is no clear cut starter but here are the top two battling it out for the quarterback spot for the Aggies. With the way Starkel finished the season, many wondered how 2017 would have played out had he not gotten injured against UCLA. Because of that, there is much upside to be seen moving forward with Starkel. Interim head coach Jeff Banks said before A&M’s bowl game that he felt Starkel was in mid-season form against Wake Forest. If mid-season form is throwing for nearly 500 yards and four touchdowns in one game, the ceiling has yet to be touched for Starkel if he plays a full season. Kellen Mond played well in place of the injured Starkel last season, leading A&M to three comeback wins, but was unable to keep his spot once Starkel returned to the fold. Having to go back-and-forth between signal-callers could be difficult for the Aggie offense in 2018. Based on the way 2017 ended, Nick Starkel should be A&M’s starting quarterback in 2018. He was able to command the offense with poise and confidence in his first year as a college quarterback. His skill set also fits into a more pro-style approach, which Fisher has flourished with in the past with the likes of Jameis Winston and JaMarcus Russell. One should also not count out Fisher fiddling with a two-quarterback system. 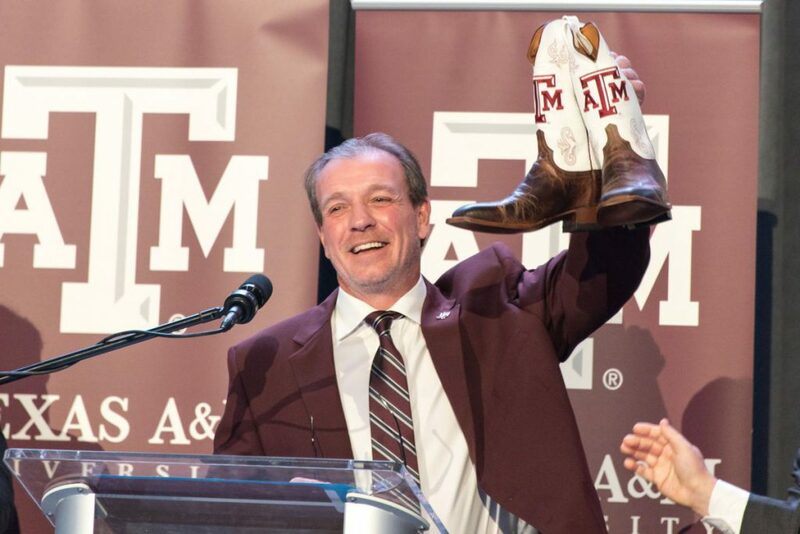 Fortunately for A&M, the Aggies are quite deep at quarterback given Mond’s experience. Kelly is back on the sidelines and in college for the first time since leaving Oregon after the 2012 season. 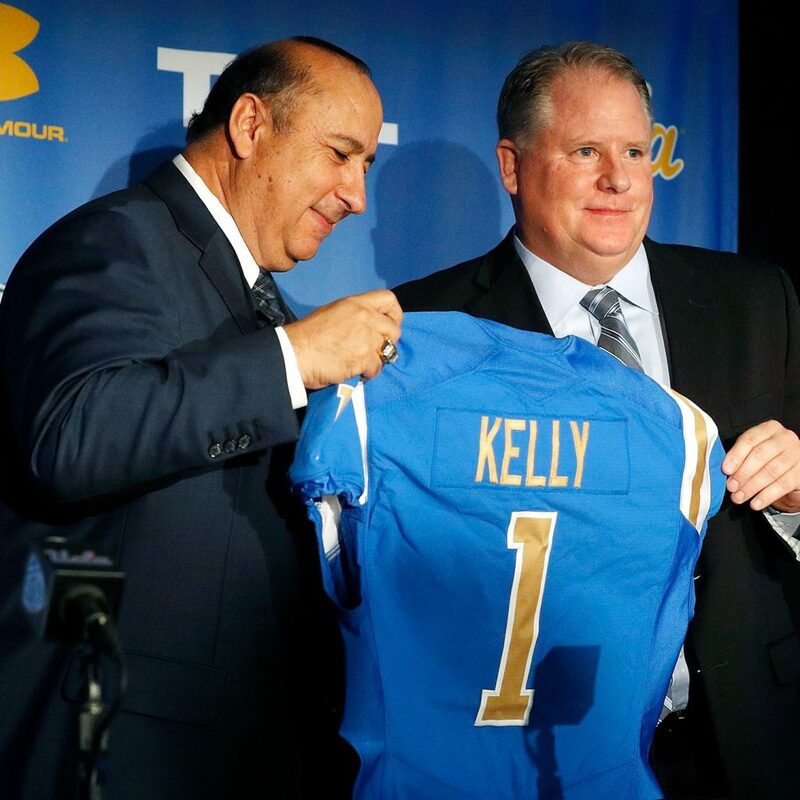 The New Hampshire native was one of the offseason’s most sought-after coaches, and UCLA wasted no time making a move for Kelly following Jim Mora’s departure. During his stint at Oregon from 2009-12, the Ducks finished 46-7, played for the national championship in 2010 and finished inside of the top five in the final Associated Press poll in three out of the four seasons. Additionally, Oregon’s innovative offense ranked among the nation’s best under Kelly’s watch and led the Pac-12 in scoring every year from 2009-12. Devon Modster, So-R, 6’2, 210 lbs. Modster I do not have any indication he will be the starter but he has the most experience. Last season he was the #2 guy behind Josh Rosen and played in two full games (Utah and Kansas State in the Cactus Bowl, both were losses) and backup time in a handful of games (cleanup time versus Hawaii and filling in for the injured Rosen at the end of the Washington and Cal games). Despite the losses, he actually put up some decent numbers. Modster had a 64.6 completion percentage, 671 passing yards, had four touchdowns and not a single interception. But all that happened with former offensive coordinator Jedd Fisch’s power/spread hybrid offense. Things will be different under Kelly who is looking for a QB that can quickly make decisions and act accordingly with zone read and run-pass option schemes. Modster, as well as the other two QBs, will have to adjust to this type of offense quickly, though it might not be that tough. Wilton Speight SR, 6’6, 240 lbs. Kelly received a transfer which we detailed earlier, and he’ll likely be the starter although he’s not the prototypical Chip Kelly QB. No matter what keep your eye open and you fantasy heads need to be looking closely what is going on at UCLA this fall because if Chip Kelly does anything like he did at Oregon then WATCH OUT!! Athletic director Scott Stricklin is leaning on a familiar face to get Florida’s football program back in the mix for national championships. Mullen and Stricklin worked together at Mississippi State, and Mullen had previous experience at Florida (2005-08) under Urban Meyer, so this is a natural fit for both parties. Mullen is going to make an immediate impact for the Florida Gators offense and get that offense back to the glory of the old days. So you better believe this will have big time impact on your fantasy team so Keep your eyes open. Mullen is not afraid to play freshman and has stated the quarterback race is wide open between Emory Jones and Felipe Franks. In searching for hope for Florida’s long-suffering offense, start with new coach Dan Mullen, his taking over the play-calling from maligned former offensive coordinator Doug Nussmeier and the Gators’ switch from a pro-style to a spread offense.Those factors alone should make a pronounced and tangible positive difference. The next reason for optimism is Emory Jones, who signed with Florida during the early signing period last month while flipping from a previous commitment to Ohio State and ultimately choosing the Gators over Florida State and Alabama. It was the first high-profile recruiting win for Mullen and his staff. Ranked a 4-star prospect and the No. 4 dual-threat QB in the Class of 2018, according to the 247Sports composite, Jones is the only true dual-threat guy in the mix and was recruited specifically to play in Mullen’s system. 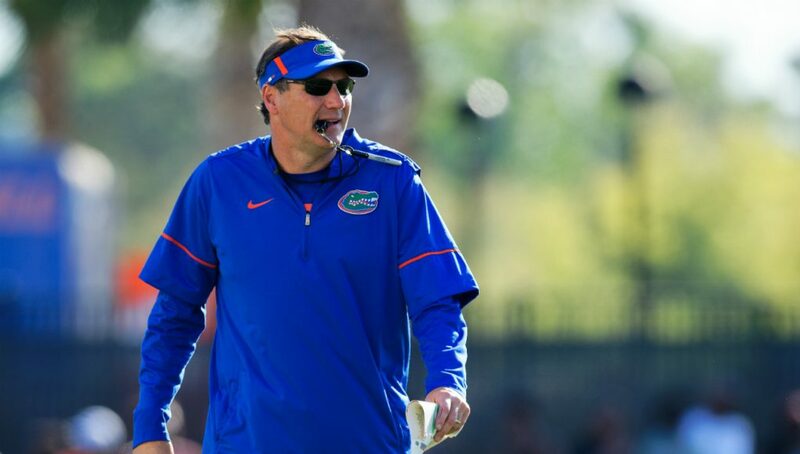 His connection with Mullen and new QBs coach Brian Johnson was a key reason Florida landed him, and those relationships would seem to in turn be helpful to his hopes of winning the job this fall. Does that guarantee Jones will start on Day 1 next season? No, but it gives him some built-in advantages and clearly sets him up as the Gators QB of the very near future. Franks did not have an encouraging debut season in any regard. He looked overwhelmed and didn’t show improvement from week to week while struggling in the same areas (poise at the line of scrimmage, ability to scan the field and not stare down his primary target, etc.) from Game 1 to Game 11. Let’s take a step back, though, and consider that maybe a fresh start, a new coaching staff and a move away from McElwain/Nussmeier’s complex pro-style offense may benefit Franks as well. He too was a high-profile 4-star recruit, he possesses the prototypical size at 6-foot-5, 227 pounds (according to the 2017 roster), he still has a big arm and he showed some rushing ability (mostly out of desperation) last season. But Franks won’t be competing simply against Jones and the other quarterbacks — he’ll be competing against his 2017 film and trying to convince the new coaching staff that he can be a different player than what he showed last fall. Scott Frost made it more than clear that he will not make a decision on the starter until fall. All signs are falling towards Adrian Martinez who had an excellent spring game. Martinez was 10-of-13 passing for 114 yards and 1 touchdown. He added 60 yards and 3 touchdowns on the ground. You can bet that Scott Frost will have this Cornhusker offense running and gunning like the good old Tommy Frazier days. 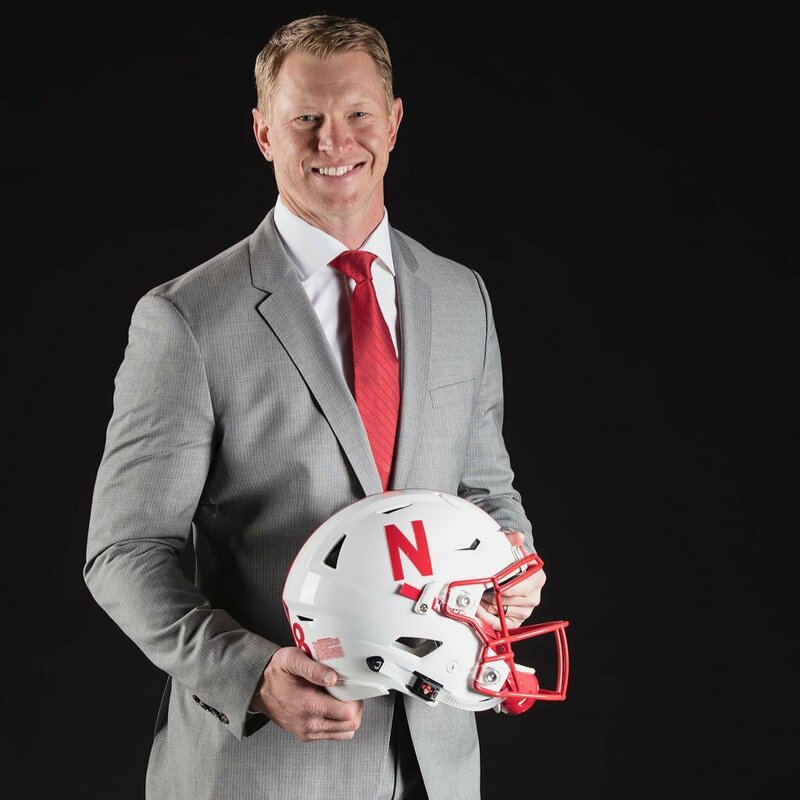 Scott Frost will make an immediate impact and Adrian Martinez is a quarterback you need to keep your eye out on for your fantasy team. That wraps up my top 5 new coaches that will make an immediate impact on the quarterback situation at their schools and can help your fantasy team in 2018. You better believe these 5 coaches are going to have there quarterbacks and offenses running and gunning.